I acknowledge that this request is non-binding and does not represent any form of retainer with Dietrich Law. Any limitation periods remain strictly the responsibility of the sender until a formal retainer agreement has been signed. You may include photos related to your accident and/or injury. 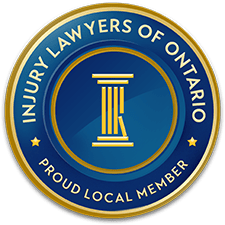 Dietrich Law Personal Injury Lawyers Based in Kitchener serving the Waterloo, Wellington, Brant, Oxford and York Regions. Dietrich Law Personal Injury and Disability Lawyers assist clients in obtaining fair compensation for personal injuries including slip and fall, car accidents, brain injury, disability insurance claims, product liability, workplace safety, dog bites, snow mobile accidents, catastrophic injuries and wrongful death.